It’s October and it’s apple baking season for me. I know, I know…it’s the week of Halloween and I should maybe be posting something cute with ghosts or even pumpkin shaped cookies. I’m really bad at baking things for special holidays. Unless it’s Christmas…because we just love to bake Christmas cookies and Christmas breads. But back to Halloween! I did come across these adorable cupcakes with ghost meringues on top that I wanted to bake for the kids. I also found this chocolate cake (that looks so luscious) with ghost meringues...spooky cute!Who knows if there will be any time to make them by this Friday. Let’s just say, there are spooky baking plans! 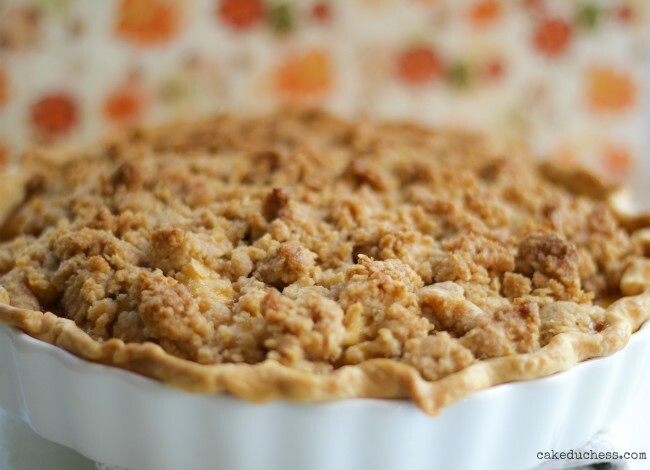 Now don’t be too finicky and fret that you don’t know how to make a pie crust. It’s completely ok to buy a ready-made one. There will not be anyone judging your decision. But I will say, the homemade pie crust is not that difficult to make. It’s ok if it doesn’t roll out perfectly. It ends up getting baked with all the incredible apples and cinnamon and oh, my gosh! 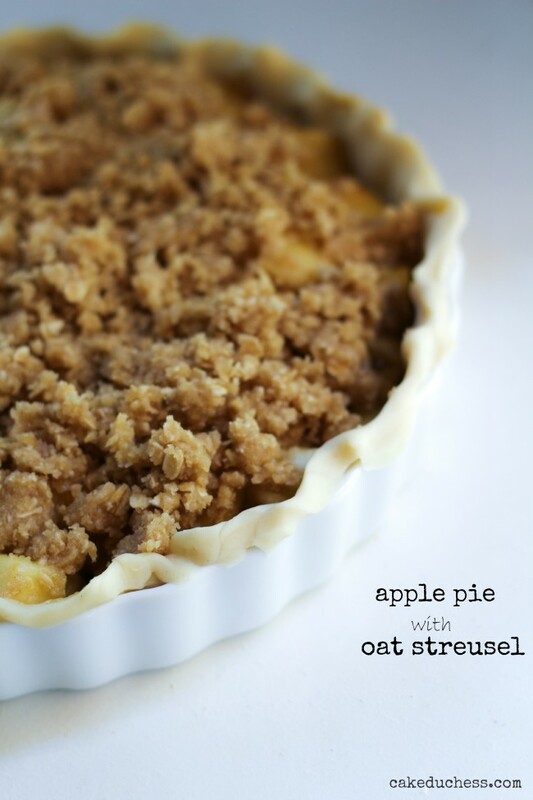 That oat streusel topping. It’s out of this world! You will find yourself walking by and sneaking bites. You will have to push your husband out of the way to get to a bite because he will be there just getting a little taste. It’s really that good! So, so good!! Here is a link to a great video from my friend and baker extraordinaire Abby Dodge explaining how to crimp a pie crust. A huge shout-out to my talented daughter for photographing and editing these photos!! 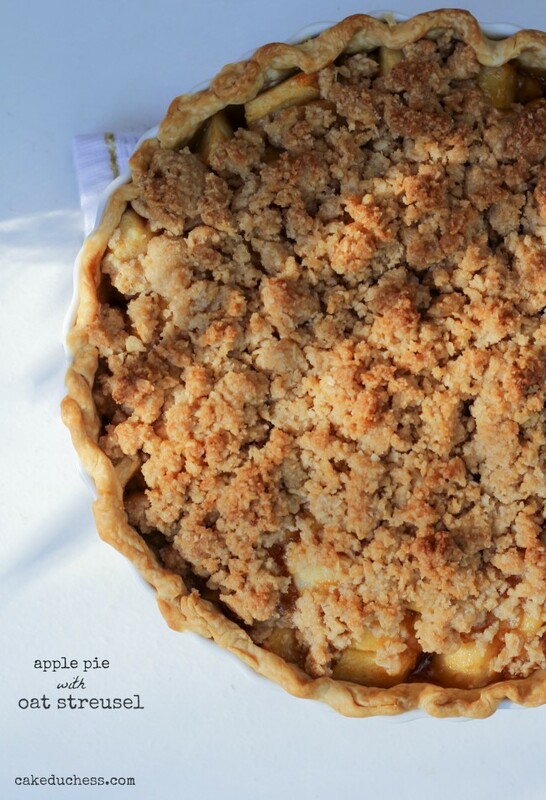 This pie crust recipes makes two portions. I bet you will be using the other portion of the dough not too soon after this one quickly disappears! Hand Method- In a large bowl, sift the flour and salt. Cut the chilled butter and margarine into 1-tablespoon bits and add to the flour. With a pastry cutter, work flour and shortening together until mixture resembles coarse meal. Add the ice water little by little pressing the pastry together into a ball. Wrap and chill for at least 1 hour. Food Processor Method- Put flour and salt in bowl of machine. Cut butter and margarine into flour. Process a few seconds until mixture resembles coarse meal. Drop by drop add the water, processing very briefly. The whole process would take 20 to 30 seconds. Wrap and chill the pastry for at least 1 hour. While pastry is chilling, make apple filling and streusel topping. Juice the lemons into a large mixing bowl. Core, peel, and thinly slice the whole apples. Dredge all the apple slices in the freshly squeezed lemon juice to prevent browning and to add flavor. Toss the apples in the corn starch. Set the prepared apples aside. In a medium-sized skillet on medium heat, toss in the brown sugar and butter. When the butter has melted, add in the berry jam. Toss the apples into the brown sugar mixture. Cook them in the mixture for about 5 minutes. Set aside to cool while and prepare the topping. Blend first 5 ingredients in processor. Add butter; using on/off turns, blend until moist dough forms (mixture will resemble wet sand). Add oats; using on/off turns, mix briefly, leaving half of oats whole. Set aside. Lightly flour a pastry board, marble counter, or kitchen counter. Divide the pastry in half. Pat each piece of pastry into a flat round. Lightly flour the rolling pin. Roll pastry in one direction only, turning pastry continually to prevent it from sticking to the surface. Using pie plate as a guide, measure rolled-out pastry — it should be slightly larger than the pie plate and 1/8-inch thick. Fold rolled pastry circle in half so you can lift it more easily. Unfold, gently fitting the pastry into the pie plate. There will be some of the pastry hanging over. You could trim a little around with scissors and leave enough to crimp. Fill with your apple filling. Sprinkle streusel topping evenly over filling. Place pie on baking sheet. 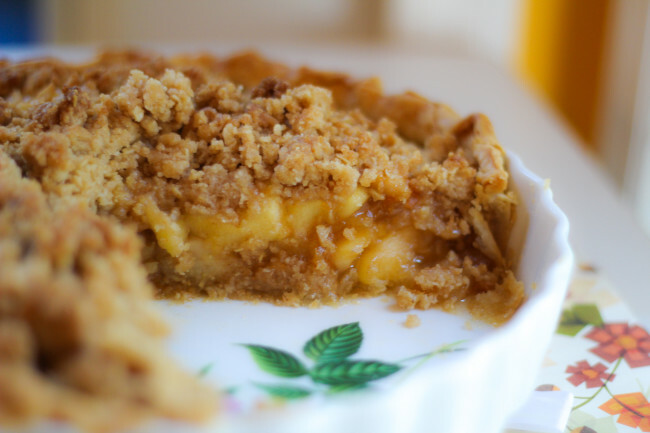 Bake pie until crust is golden brown and juices bubble, 50 minutes–1 hour. *My pie was ready at 45 minutes. Every oven is different. I didn’t want my topping to get too brown.